I read the other day a study about countries that apply Islamic principles in most of their daily lives. The study, conducted by Prof. Hussain Askari of George Washington University entitled “How Islamic are the Islamic Countries,” showed that most of these countries that apply Islamic principles in most of their daily lives are not ones traditionally Muslim with New Zealand ranking first, Luxembourg second followed by Ireland, Iceland, Finland, Denmark and Canada. Malaysia ranked 38, Kuwait 48, Bahrain 64 and the Kingdom of Saudi Arabia 131. The study, published in the Global Economy Journal, might be shocking to most of us but when we look around us and see the reality of the situation, we find that the results of the study are accurate and true. Muslims seem to care only about performing religious obligations (prayer, fasting etc.) and memorizing the Holy Qur’an and the Prophet’s sayings, but we never practice what we learn. We listen to religious lessons and sermons more than other people on the face of the earth but we are still not the best nation. In the last 60 years, we have listened to 3,000 Friday sermons. A Japanese Muslim said: “I traveled to the West and saw Islam in practice applied in the daily life of non-Muslims. I traveled to the East, I saw Islam but did not see any Muslims. 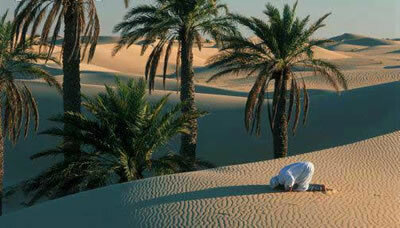 I thank Allah I knew Islam before I knew how Muslims act.” Religion should not be reduced to prayer and fasting. It is a way of life and it is about how we treat others. Performing a religious obligation is up to you and it is something between you and Allah. However, good ethics is something between you and other people. In other words, if we do not put Islamic ethics into action and practice, corruption will become rampant.